Today: We're talking holiday centerpieces. 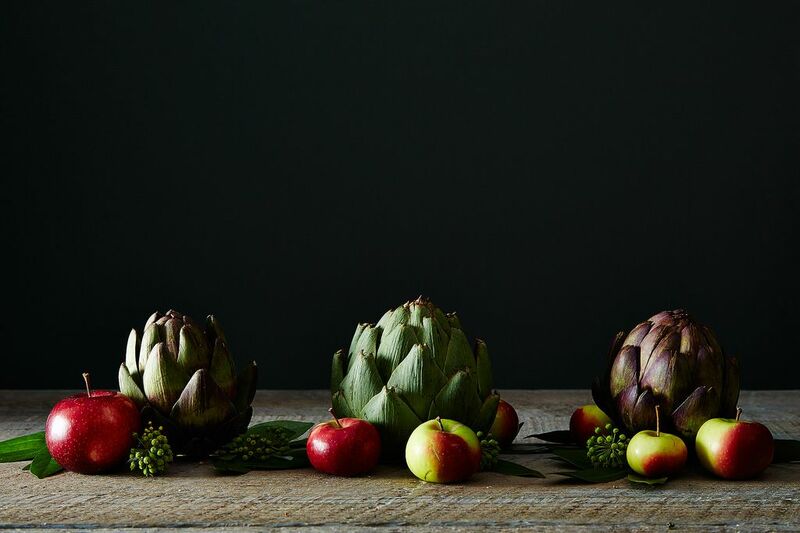 We're here to tell you that you can easily create beautiful table arrangements with a simple trip to the market -- or even your front stoop. 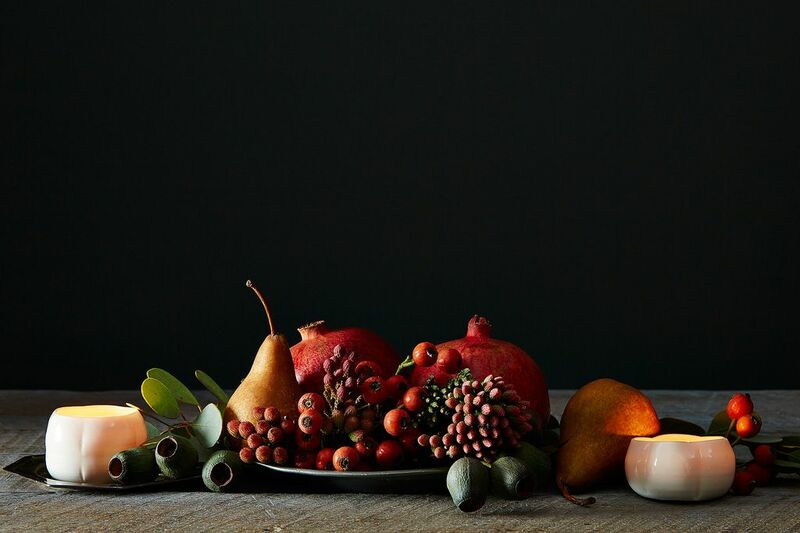 Read on for our tips for easy -- but impressive -- holiday centerpieces. Make the most of your market. 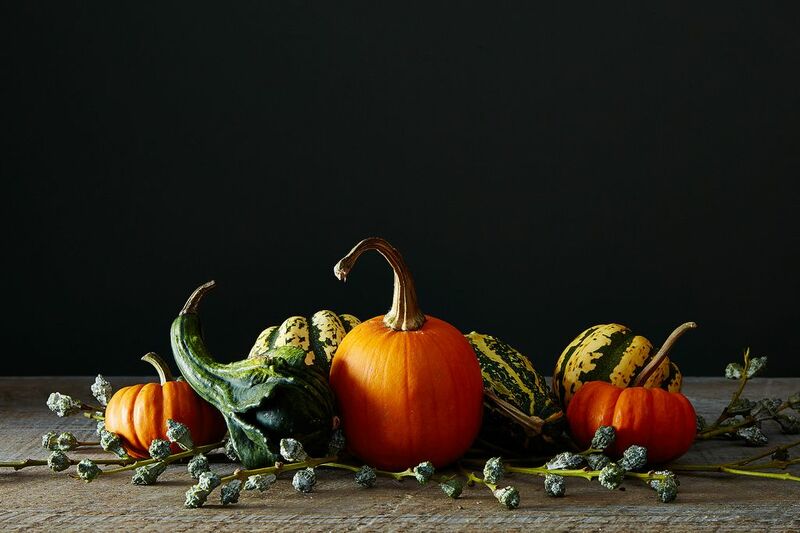 Take your centerpiece a step further by thinking past gourds. Amanda loves cabbages in particular -- their leaves are beautiful, and you can often find them in a variety of sizes. 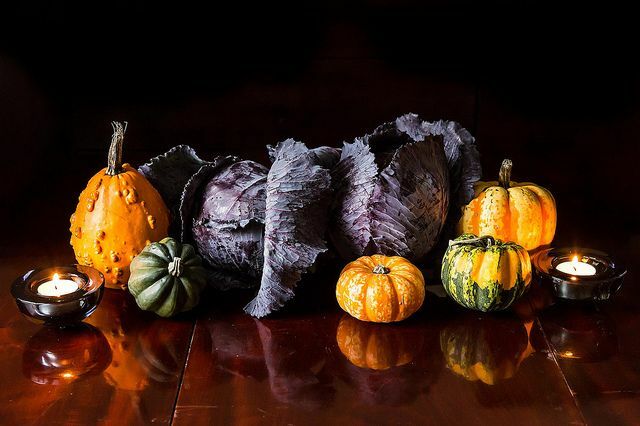 Interspersed with other small fruits and vegetables, they create a lovely contrast of textures, shapes, and colors. Cranberries and acorns also look beautiful arranged in small bowls. Tea lights are your friends. 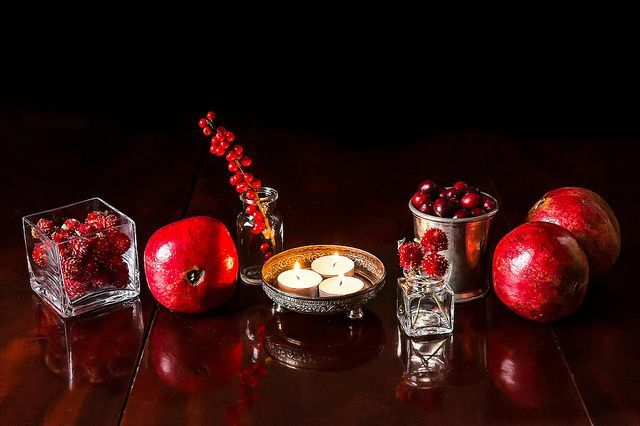 To add some light to your table -- especially during the darker months -- swap out large candles for understated tea lights. Let them stand alone as part of a larger assortment, or place them in small votive holders. Tea lights will give your table a welcoming glow, and you won't have to worry about keeping the fire extinguisher close by. Tell us: what are your tips for creating an easy, impressive holiday table? Great ideas! Can you tell me, in the "red" photo, what that plant is next to the cranberries? It looks like some sort of thistle, but I've never seen any that color. The dried blooms are Gomphrena. An annual, easy to grow and to dry. Color is probably Strawberry Fields. Park Seed has it. who made those photographs? Nice. Cut the flowers off your poinsettia and hold the end of each stem over a flame for a few seconds. Now either float them in a lovely bowl (with other greenery from your garden and a floating candle) or arrange them in small vases. They last a long time! I also like to buy beautiful outdoor plants at the garden center (cyclamen, wintergreen, or small hellebore) and tuck them in cache pots.